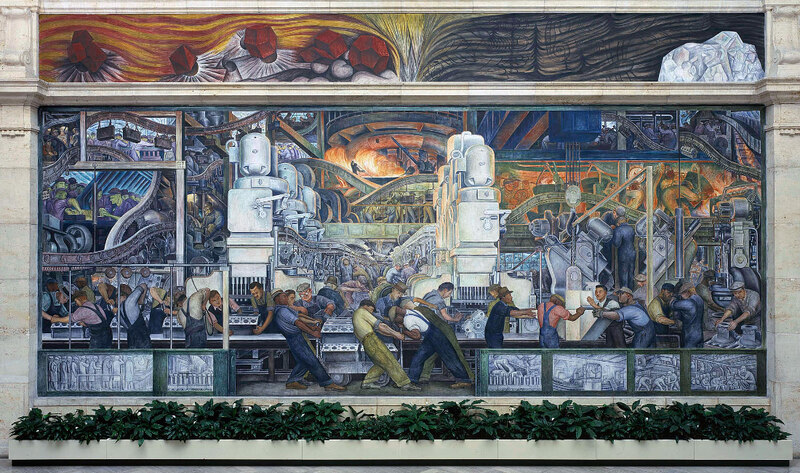 Posted on 07/09/2013 by U.N.
80 years ago Mexican Artist Diego Rivera finished his famous murals of the Ford River Rouge plant at the Detroit Institute of Arts were they are still to be seen. The largest factory in the world..
Posted on 28/09/2012 by U.N.
..employing up to 100000 people was built 95 years ago in Dearborn, Michigan. 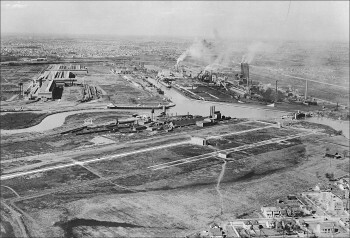 The Krupp works in Essen, Germany once had 104000 people on the payroll but that was only in war times (1918). 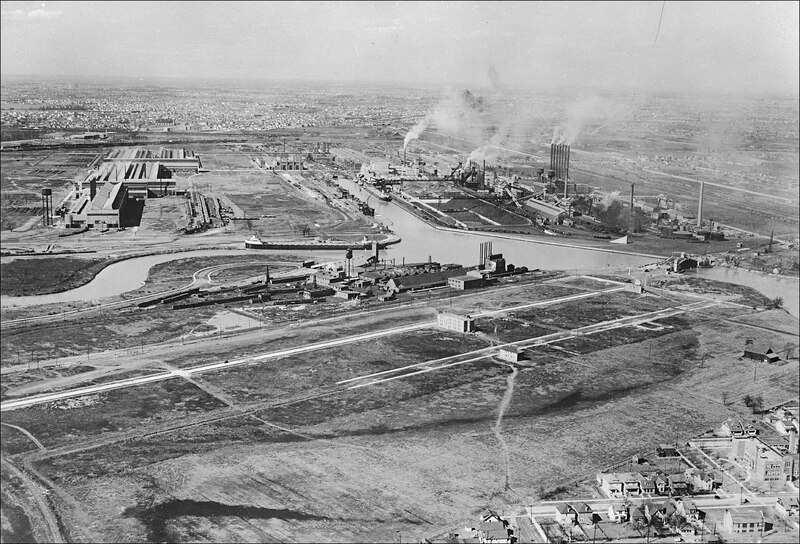 Anyway, the Ford River Rouge plant was remarkable with the unique vertical integration of it’s production cycle. From iron ore to rubber and glass any kind of raw materials could be processed on ground and could be transformed into finished cars in less than 50 hours. 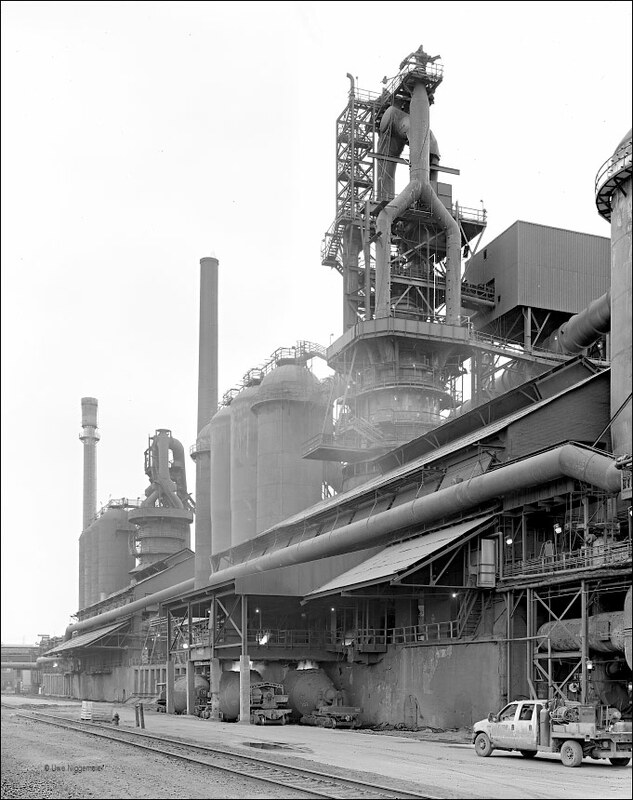 In 1989 the Ford company sold it’s integrated steel production to the Rouge Steel Co. which was taken over by Russian Severstal in 2004. Some images from that year. The image shows the older blast furnaces ‘A’ (from 1920) and ‘B’ once called Henry Ford II and Benson Ford.